10 kitchen knife safety tips for kids ~ You MUST read This! This is why it is very important to learn the proper way of handling a knife and stay aware of its dangerous consequences. 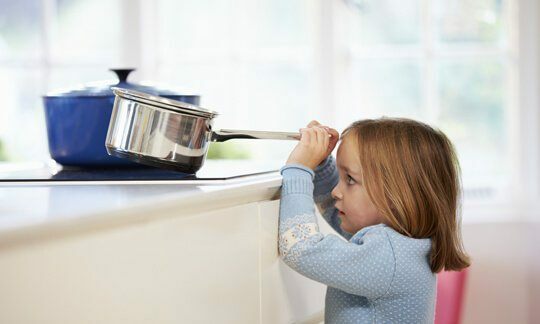 To prevent accidents and to keep our family members safely it is always advisable for the family members to follow and maintain some basic kitchen safety. 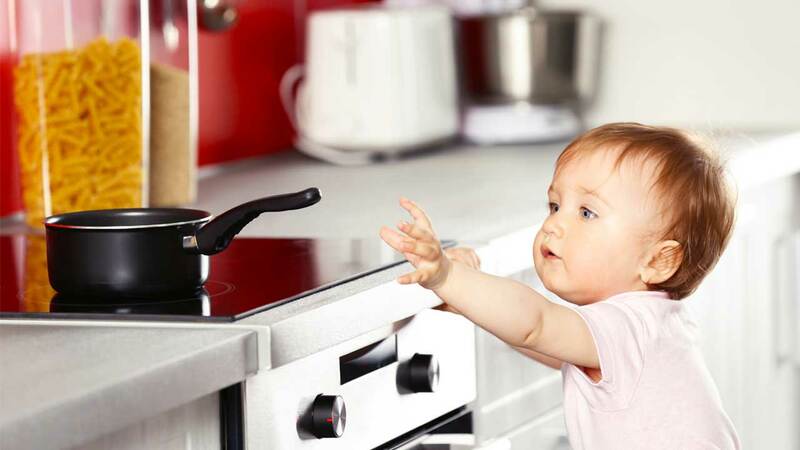 Most importantly, the kitchen safety rules should be taught to our kids at their very tender age. Cooking with kids is fun indeed and one of the great ways to spend some quality time with them. 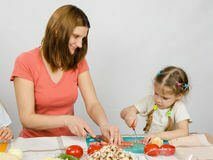 While the very young toddlers love to observe the adults cooking process, kids start learning a few basic cooking preps from the age of 5. The elementary-age kids can begin to start cutting and slicing with the knife. This is the time when they should be taught the proper way of handling the knife. What’s more, they can also be introduced to kitchen safety skills and tips. A kid-friendly knife can be our kid’s starter knife. Letting them start their cutlery skills with a kid-friendly knife can ease the whole process of teaching them the basic safety rules. To make our kids aware of the basic kitchen knife safety tips we can start by first building their confidence while using the knife. Holding a knife comes naturally and varies from person to person. Some kids may be comfortable by holding the grip of a knife while other ones might be comfortable to place a finger on the pointer of a knife. Holding a knife in a proper and safe way is all about practice. So it is always advisable to let the kids practice handling the knife under an adult’s supervision. Tell your kids to stand straight and stay focused when cutting items with knives. It is because leaning over while cutting can put them off balance and cause food items to slip. It is safer for the kids to cut food items on a cutting board when using a knife. Do not let them put their hands on the cutting board and make it a fundamental rule. When teaching our kids the basic knife skills and its safety rules we should always stay calm and relaxed. Fussing and constantly making them aware of the different dangers of using a knife will make them less confident. So it is always advisable for the parents or supervisor to stay relaxed and patient when teaching the knife safety rules to our kids. How Do You Safely And Properly Carry A Sharp Knife In The Kitchen? When it comes to knife safety in a kitchen the first thing to consider is keeping our kitchen knives sharp. 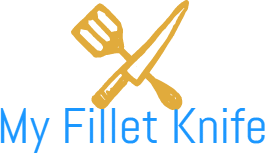 A dull knife might be a hazardous item in the kitchen as it will need a lot of pressure to use such type of knife. This might cause one to slip or trip and get off balance leading to serious injuries. This being stated, a sharp knife should be safely and properly carried. Sharp kitchen knives should be stored properly and should be used for its specific purpose only. Instead of keeping sharp kitchen knives scattered in our kitchen we can store them safely. To safely store kitchen knives one can opt for mounting the knives on the wall, storing them in a designated block dock or in a drawer dock. If the handle of the knife feels slippery then one can get a knife sheath or leather covering for the handle to get a firm grip. To carry a kitchen knife it is best to first fold them in a kitchen towel or a knife roll and then hold them by the handle with the tip of the blade facing down. What Are Some Kitchen Safety Rules? The kitchen is a part of our home where cooking and food preparation is done on a regular basis. This includes cutting, slicing and dicing while preparing our food. Moreover, the grease fires, handling hot items and so many more cooking errands can all together create a chaos leading to an accident. Avoid Distractions such as phone calls and others. Use the specific type of kitchen knife for the right job. Handle and store the kitchen knives safely. Be careful while handling and storing the scissors, potato peeler and other sharp items. Avoid loose-fitting clothing while cooking to avoid the risk of catching fire. Turn off burners and other electrical types of equipment immediately after the work is done. Make sure the wires of electrical appliances are not frayed. Keep electric cords away from the kitchen. Get rid of dull knives or items that merely come to any use. Be careful when lifting lids from a pressure cooker or hot pot as hot steams can cause scalding. Keep a wooden step-stool in the kitchen to reach high places. Keep emergency numbers in hand. What Is The Proper Way To Use A Knife? One must use a knife suitable for its specific purpose only. A kitchen knife should always be used in a kitchen while a pocket knife is supposed to stay in your office drawer or cabinet. When handling and using a kitchen knife one must stay focus and have a total firm grasp so that the knife does not slip away. With firm grasps one must hold the handle in such a way that the blade is away from the body. Kitchen knives should always be kept clean and sharp. When cutting any food item with the kitchen knife it is always recommended to use a cutting board. If you have a flair for cooking then watching how the pro chef’s use the knife can be one of the best ways to learn the proper use of a knife. Prevention is better than cure – says the great Romanian doctor, Desiderius Erasmus. Simply stated, it is always better to stay aware and follow the kitchen safety rules to avoid any dangerous consequence. Thanks a lot for sharing such a helpful post about kitchen knife safety tips. No doubt! I am so much impressed by your tips. keep posting such kind of information on your page. You’ve performed an incredible job.